Learn all the basics to create and manage spreadsheets yourself and we cover the 5 basic formulas everyone should know! Secrets of formatting and navigating super-fast and how to create charts which are stunning representation of your figures. You will create a chart with one click and learn how to manage large workbooks. A day crammed with delightful shortcuts and quicker ways to work! Classroom Training – Public courses are available or for group training we can deliver Onsite Training. Moving nimbly around the spreadsheet with lots of navigation shortcuts thrown in! How to enter text, numbers, formula and pictures and how to work with them. As your spreadsheet develops, you need to make changes and if you don’t know these few simple steps it can all go horribly wrong! We cover the basics of how to insert or delete rows and columns and copy formula without getting a nasty error message. Learn the simple ways to create formulas and the 5 basic formulas everyone should know! Getting to grips with that tricky formatting of text and numbers so your spreadsheets are easy to read and look amazing in just seconds. Starting with chart basics we’ll take you through how to format your charts so they are stunning representations of your figures. "Great facilities and excellent Trainer – Karen is extremely knowledgeable, approachable and patient. She took the time to ensure that all (of different levels) were happy with the pace and content. Every other delegate I spoke with shared this positive feedback. " "Excellent course. Thoroughly recommend. The trainer is a knowledgeable and superb trainer." "Excellent, really enjoyed it, would recommend." "The training was excellent and very helpful. I would definitely recommend the training to anyone looking to gain knowledge on Shortcuts, Tables and generally being able to jump around the screen easier. I felt engaged at every stage and feel motivated to learn more." "This is my second course with Karen, she has been absolutely fantastic in delivering training. Not only was the training extremely informative, but it was fun as well which has encouraged me to start using PowerPoint for lots of things. I have learnt the basic understanding of PowerPoint and how to navigate my way around as well as how to use Power Point effectively and features I can use to engage my audience." "I think it was excellent. More time needs to be spent practising and applying the knowledge. That is where the full value of the training is." "Very good informative day. Thanks!" 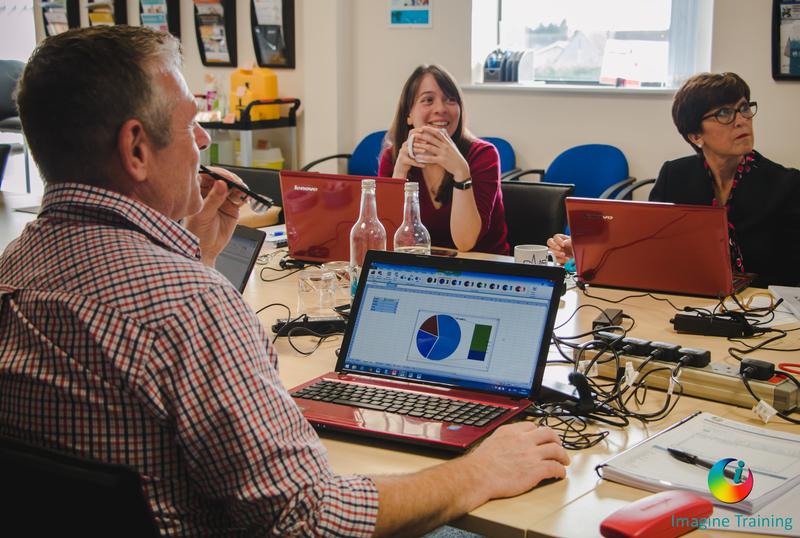 "Another very informative and useful training, I would recommend to my team"